Move over, Kim. Here’s how you really break the Internet. For those of you who have been in the Amazonian rainforest studying piranhas or doing something similar that kept you away from an electronic device, the past two weeks have been marked by what has been called Dressgate: a worldwide argument over the color of a dress. That’s right. The hottest topic on the Internet for the past two weeks has been the color of a dress. While some people saw a black and blue dress, others could swear on their goldfish’s grave that it was white and gold. This whole viral phenomenon started when Grace Johnston’s mother sent her daughter a picture of the dress she wanted to wear at her daughter’s wedding. Grace showed the picture to her husband-to-be and they soon realized that they weren’t seeing the same dress. As any couple should do, in order to resolve this argument, they posted the picture on Facebook and hoped for their friends to tell them what the real color of dress was. Unfortunately, their friends couldn’t agree on the color of the dress either. Caitlin McNeill, who later performed with her band at the wedding, was tired of arguing about the color of the dress and posted the picture on Tumblr on the 25th of February. Then, all hell broke loose. By the end of the day, the phenomenon already had a pompous name and hashtags like #blueandblack and #whiteandgold. By the fourth day, Buzzfeed’s article on the dress had reached 37 million hits and celebrities like Kayne West, Taylor Swift, Lady Gaga, Anna Kendrick, and Justin Bieber were joining the discussion. Soon the scientific community came to the rescue and offered several explanations on why the world couldn’t agree on the dress’s color, when it’s obviously black and blue. 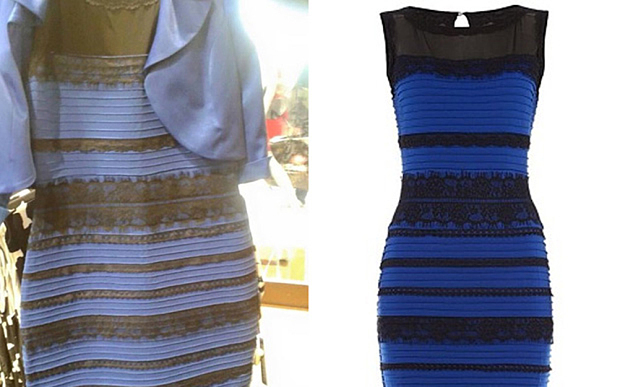 Apparently, people who were seeing white and gold had their brains interpreting the information in a different manner because of the context in which the dress was. You can read about it here and here, if you’d like to get more details. Although it seems like it was nothing but a waste of time, the fact is that the image reached millions of people in just a few days. Its popularity was so high that organizations like the South African Salvation Army leveraged the phenomenon’s popularity to boost their campaigns. The question we’d like to pose is: how on earth was Dressgate so popular? 1.Cognitive dissonance. Cognitive dissonance is the discomfort experienced by an individual who holds two or more contradictory beliefs, ideas, or values at the same time, or is confronted by new information that conflicts with existing beliefs, ideas, or values. It’s hard for anyone to look at a dress, see it as white and gold and have someone tell you it’s actually black and blue. You have to be sure that your beliefs match reality so you do your best to resolve this internal conflict. In this case, you share it on Facebook, Twitter, Tumblr, and other social networks hoping that other elements of your network confirm what you’re seeing. 2.Celebrity endorsement. Having someone highly popular and well connected sharing your content online will do wonders for its reach. Having someone just a tad influential sharing your content results in 31 percent more social shares. 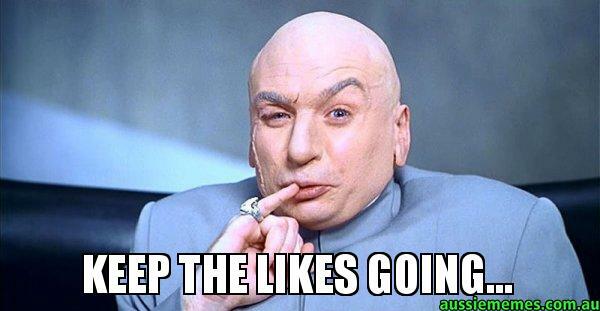 So, when you get Taylor Swift, Justin Bieber, or Kayne West to mention or share your content, be prepared for an avalanche of comments, likes, retweets, shares, and so on. 3.Sense of belonging. According to a study by The New York Times, 69 percent of the participants said they shared content online in order to feel involved in the world. When you see more than three people sharing similar content in social networking sites you get curious about what’s happening. 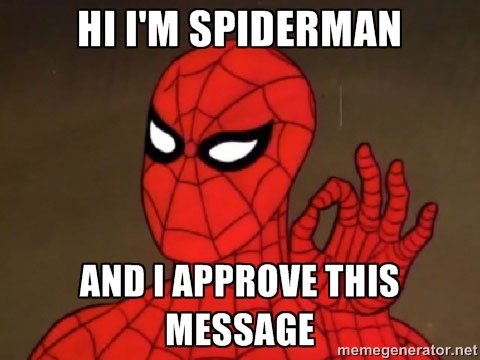 When almost everyone you know is either sharing or commenting on a particular piece of content, you feel obliged to be a part of it. You don’t want to be left out of the conversation. Additionally, in the same study, 94 percent of the respondents said they shared content with the goal of showing something entertaining or valuable to others. This mechanism isn’t purely altruistic as people also wish to be recognized as someone who shares particularly relevant and entertaining content. 4. Arousal. Jonah Berger, author of Contagious: Why Things Catch On, did an experimental study where he asked the participants to jog for a minute before reading a piece of content and then gave them the opportunity to share the article via email. Seventy-five percent of these participants forwarded the content, while in the control group – who just read the article without jogging before – only a third shared the content. “More arousing content should be more likely to spread quickly on the Internet and should be more likely to capture public attention,” he concluded. In our opinion, a picture of a dress that generates fierce arguments can be labeled as arousing. While all of this may seem pretty simple and obvious, in reality it’s not. It may be easy to understand these arguments, yet it isn’t easy to put them into practice. So, you can even identify with the emotions that are associated with viral phenomena but it’s extremely difficult to recreate them. That’s why it’s almost impossible for something to go viral, even with paid distribution. Long story short, Dressgate is a viral phenomenon that should be studied by anyone who has a slight interest in viral marketing. It shows us how basic psychological triggers can lead people into turning a simple argument into a worldwide debate. But, don’t fool yourself. Not every piece of content can be leveraged by these triggers.